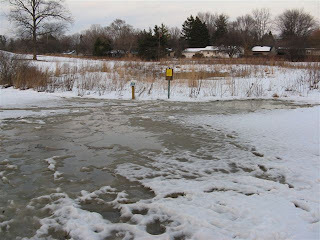 With the big thaw that started on Saturday, February 7, Wet Meadow I is capturing a lot of water from melting snow. By Sunday afternoon, only about 2" on the seat rock was above water. 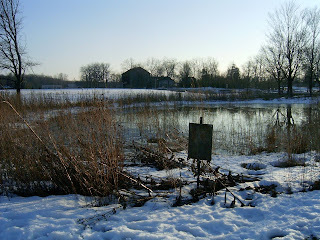 Even on Saturday, Wet Meadow I was capturing a lot of water from melting snow. Since the ground is frozen, water will not soak in very quickly. 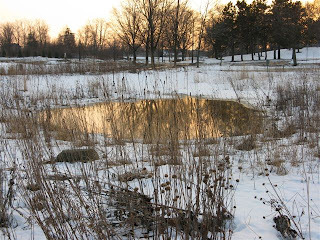 If the weather stays warm, more water will collect on the Wet Meadow.